Takiyah Thompson was interviewed by Workers World editor Minnie Bruce Pratt on Aug. 20. 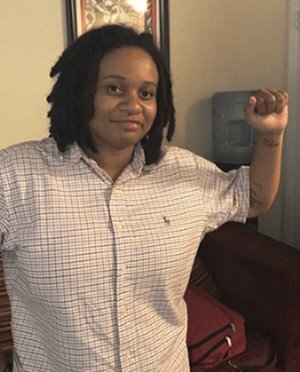 Thompson is the North Carolina Central University student and Workers World Party member who climbed the Confederate statue in Durham on Aug. 15 to begin the act of taking it down. Thompson was subsequently arrested for the action, along with seven other people, all facing both felony and misdemeanor charges. Their court date is Sept. 12. Stay tuned for updates to workers.org. Workers World: Bree Newsome took down the Confederate flag in South Carolina in June 2015. Now, two years later, what recent events sparked you to act? Takiyah Thompson: With the rise of Donald Trump, there’s been a rise of white nationalists clinging to different symbols of hate in a much bigger way. Since Bree, there’s been a real resurgence of people flying the [Confederate] flag and having racist bumper stickers. I grew up mostly in New York City, have lived in North Carolina for about the last five years. Being from New York and moving to the South, I wasn’t used to such outward displays of racism and hate. When I’ve talked about it with other Black people, we agree that when we see [racist] stuff like that, it always sparks a very particular feeling — it’s psychological terror. [Planning for the action] started when we were on our way back from Marxism School and got a cell call that the Indivisibles, a faction [aligned with] the Democratic Party in N.C., were organizing an Aug. 14 vigil for Heather Heyer [the young white woman worker killed by the white supremacists in Charlottesville, Va.]. We thought that was a good idea. They invited [local] International Workers of the World and some of us from Workers World Party to speak. When the IWW organizers said they wanted to lead a march after the vigil, that request got them disinvited. At the vigil, the IWW comrades and Q from WWP wanted to speak and were refused. The [vigil organizers] wanted to sing “This Land Is My Land,” a song used during the civil rights movement and anti-war movement in a progressive way. But now, in my age group, we remember this song as taught in schools alongside the national anthem — it’s been co-opted! In Charlottesville, white supremacists were chanting “Blood and soil!” You can’t sing “This Land Is My Land!” People took offense at that. So all of that led to a countermarch on Sunday at the vigil. Then we decided to have a march and rally on the next day, Aug. 15. Of course, we were addressing the far-right and white nationalism and racism. But we were also trying to address the problem with liberalism acquiescing to white supremacy. People in the crowd took that challenge in and questioned the liberal notion of what resistance is. WW: Would you talk about the connection between “white nationalism” and white supremacy? TT: When I think about white nationalism, I think about whiteness as being held as the ideal, and whiteness as being held as intellectually, genetically superior. And that’s white supremacy. When I use white nationalism, I am using it interchangeably with white supremacy. 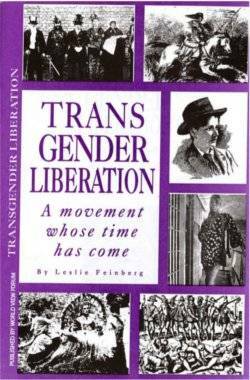 WW: What event or person first sparked your activism? TT: I think gaining a deeper understanding of what the Black Panthers were all about and what they did. When I was in high school, I thought of the Panthers as Black folks wearing all black outfits and carrying guns. Then I learned they were so much more, so that really knowing what their program was about was the biggest catalyst for me. I watched documentaries about the Panthers. I studied about Kwame Toure, learning about how he marched on foot through the South, registering people to vote, taking that direct action. I wouldn’t have been able to see the necessity of even joining a revolutionary party if it wasn’t for the political and historical education I received at NCCU. My ideology and the evolution of my politics I owe to my history department and my political science department for exposing me to a more radical set of politics. The idea of people’s power is we don’t have to wait for elected officials to realize our humanity. We can claim it for ourselves. 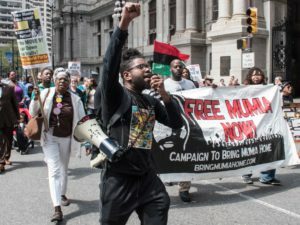 People’s power is not just confrontation with the state, but like the Black Panthers, giving blood tests for sickle cell research, their child care program, their breakfast for the children. Through organizing and building community, people’s tangible needs can be met, and then they can confront the state. This is a battle that has to be fought on many different fronts. WW: Tell us some lessons you learned from this action. TT: What I learned is definitely that we are stronger together. Everyone has their own unique perspective to add. When I spoke and when some of my white comrades spoke, we touched on similar issues but from different points of view. Some of the white liberals in the crowd might have questioned my point of view. But when my white comrades reiterated, that spoke to those liberals in a different way. Even though that is troubling, that they might not have listened to me, that’s where people are at. The different perspectives are needed. An organizer down here once told me: “There is a place for everyone in the revolution. If it happened today, we’d need revolutionary janitors, electricians, teachers, etc.” If the revolution were to come today, we’d still need the basic things we need today. The question is how would we change what we do to fit the revolutionary moment. WW: How do you think the continued dismantling of the Confederate monuments and white supremacy will impact the struggle going forward? TT: I think white supremacy and racism exist to obscure the material basis, to disguise class conflict. White supremacy and capitalism are peas in a pod. This is not to minimize sexism or anti-LGBTQ oppression — all very real. But when you confront white supremacy, you are confronting the idea that all these groups of people of color, and all these marginalized groups, are inferior. So now you are getting at the idea that it is OK to oppress people under “capitalist democracy,” that is, in the name of capital. And when we force these concessions from the ruling class, it becomes harder and harder for it to maintain itself. When I say capitalism and racism are two peas in a pod, the origins of both in the U.S. start in the same place — slavery with workers who were paid nothing so profit could be maximized. After emancipation, there was sharecropping, workers paid barely enough to survive but kept in debt to maximize profit. Then, the convict lease system, people jailed, hired out at cents an hour to big businesses with their wages going to the state governments, exploited to maximize profit. Now, there’s the prison system where, because we live in a “liberal democracy,” not only Black people are jailed. Now, inmates are paid 6 cents to make license plates, or do a plethora of other work: making furniture for wealthy bidders, being servants in a governor’s mansion, working on prison fish farms that sell to Whole Foods, taking orders at call centers, selling underwear for Victoria’s Secret. The prisons are a vast industry of modernized integration, disproportionately locking up people of color and also poor whites. You can just look at pay gaps between Black men and white men, or Latinx women and white women. 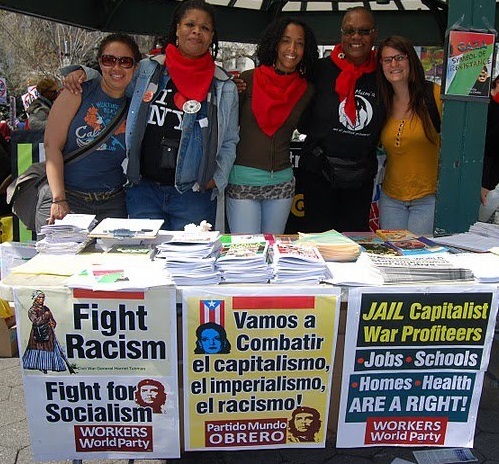 Peas in a pod, capitalism and racism. WW: What would you say to those readers who are looking for the next step to take? 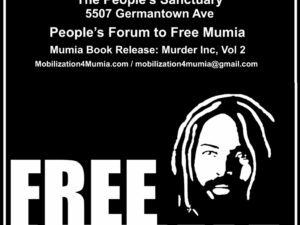 TH: Kwame Toure talked about the importance of organization. His point was that we are battling white supremacy and capitalism. They have their schools, courts, prisons, vast institutions to oppress us. They are organized! The only way to fight their organization is with our organization. I would say: Find an organization that is focused on people’s power. Not on voting people’s power away, or giving it away to a candidate who may or may not do what you want. Even if you are still figuring out your politics, it’s important to find an organization that’s committed to building people’s power. Find an organization that is invested in returning power to the people.